Need to Know Facts Before Travelling to Liguria Italy! Here is some useful Liguria Italy tourist information that you may need. We have included lots of frequently asked questions, useful contact details and miscellaneous snippets of information designed to smooth your visit to Liguria and Italy. If you are a holder of a valid European Union passport or US passport, then you do not need a visa to enter Italy. If you are a holder of another country's passport, you can use the tool below to check whether you require a travel visa as visa laws vary per country . It is also important to check the current validity of your passport. We strongly recommend that you travel with 6 months validity on your passport at all times. In addition, most destinations, including Italy, require that you have adequate un-used pages in your passport, allowing for any necessary stamps upon arrival and departure. We recommend that you have at least two free pages in Visas section of your passport before any international travel. How can I get to and around Liguria and Italy ? These days, it's not difficult to get to Liguria which is well connected with the rest of Italy and Europe by railway, motorway, international airports and ferry ports. Do you need to find out the different airports servicing Liguria? Need to check on flight arrival or departure times? Here's your Air Travel Liguria info in quick, easy-to-read format. Help others have a great time traveling in Liguria and Italy. If you are planning to Travel to Liguria by Car , you will find essential information on the motorways leading to Liguria as well as advice on hiring a car in Liguria . What is the currency in Italy & other money matters ? Italy is one of the 12 EU countries that joined the EMU, Economic and Monetary Union, which introduced the single currency: EURO with the symbol € . 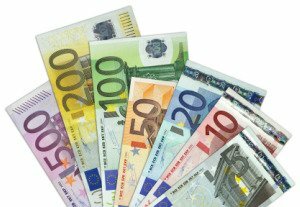 From 1 January 2002 the Euro is effectively circulating in Italy and is now the only currency. info in quick, easy-to-read format. The public health system in Italy is managed provincially by ASL (Azienda Sanitaria Locale). If you reside in an EU country, you should make sure that you take your European Health Insurance Card (which replaced the old E-111 form), certifying coverage by your National Health Service. For those of you coming from US and Canada though, be aware that Italy has no public medical program covering U.S. and Canadian citizens. Therefore, we strongly recommend that you take out an adequate insurance cover before travelling. 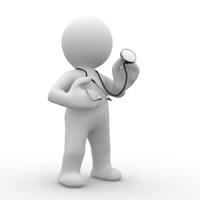 More about how to find the nearest hospital and general travel health advice here. No vaccinations are required to enter Italy. In addition, tap water is drinkable in Italy. Water from drinking fountains is safe as well unless there is a sign “Acqua non potabile”. You might see this sign inside trains, camping sites, etc. How to Call To and From Italy ? The telephone system in Italy is largely managed by Telecom Italia, but there are also several private firms. 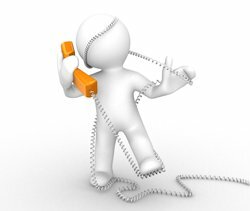 Mobile phones are widely used in Italy and the major networks available in Italy are offered by Telecom Italia (TIM), Vodafone and Wind. If you have an UK or European phone, you can use it in Italy if your mobile is internationally active ( has its roaming service activated). We recommend that you check with your mobile company before leaving for Italy and activate roaming in order to make and receive calls with no restrictions. For those of you coming from the US and Canada, you should be aware that European mobile phones work on the GSM standard. In the US, AT&T and T-Mobile use GSM, but many other cell providers do not, so you cannot always use your US cell phone in Europe. If your mobile/cell is a GSM phone and it is unlocked and works on European frequencies, then you can buy a new SIM card which gives you a new mobile number in Italy. In this case you can buy a “pay as you go” card, normally called "scheda pre-pagata" in any mobile phone shop and have a new mobile number for the length of your holiday. You can buy the “schede pre-pagate” in the following range : €25, €50, €80, €100, €150. The electric current in Italy is 220V (rather than the 110 as in the U.S. )and the cycle is 50Hz. Though voltage may vary, in different cities and towns from 125 to 220V. 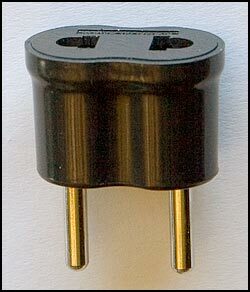 The Italian plugs have prongs that are round, not flat, making an adapter plug necessary. You can easily buy an international adapter in the major electric shops as well as at airports. 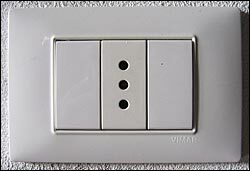 Power sockets in Italy have two or three holes and do not have their own switches. Italy has a low rate of violent crime, little of which is directed at tourists. The most common menace, especially in large cities, is the plague of pickpockets and roving gangs of Gypsy children who virtually surround you, distract you in all the confusion, and steal your purse or wallet. Never leave valuables in a visible place in a car. Shops in Italy are open from around 9.00/9.30 am to 12.30/1.00 pm and from 3.30/4.00 pm to 7.30/8.00 pm. Shops and supermarkets are closed on Sundays and Mondays or Wednesdays plus bank holidays. Most towns have a weekly street market held once a week in the morning, information can be found on each town’s web site. Everyone in Italy, including tourists are required on every occasion they purchase goods or pay for services, to ask for a receipt (scontrino). The receipt acts as a proof that the shop has declared the sale and that the client has declared the purchase. You might be asked by an officer of “Guardia di Finanza” or a plain clothes officer to produce the receipt immediately after you leave the shop. If you don’t have it, you may be obliged to pay a fine of up to €155. Do You Have a Travel Tip to Share? Here is your chance to share travel tips and other topics you think might help others have a great time traveling in Liguria and Italy. 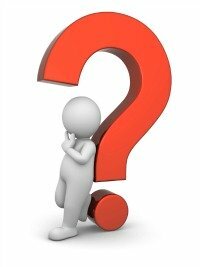 Did you experience something unexpected you might want to help others avoid? Did something unexpected actually make your trip better? Let us know! If you need help filling out the form, click on the blue question marks for instructions. Enter a short title here. Your message will appear on a Web page exactly the way you enter it here. You can wrap a word in square brackets to make it appear bold. For example [my story] would show as my story on the Web page containing your message. Enter a title and the full form will open.